Above & Beyond: The History of the Medal of Honor explores the history of the most prestigious military decoration awarded to members of the United States Armed Forces. The medal is awarded to those who distinguish themselves through conspicuous gallantry and intrepidity at the risk of life above and beyond the call of duty. 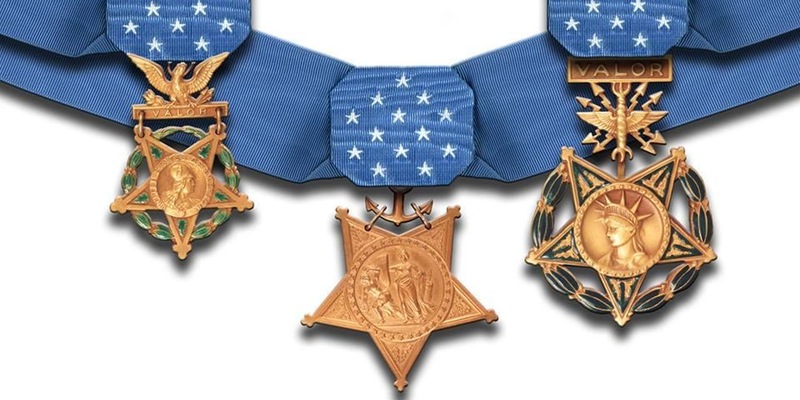 There have only been 3,505 recipients of the Medal of Honor since the award was created by President Abraham Lincoln in 1861. The exhibit is split into two sections. The first section features a timeline that will explain the history of the award from its humble beginnings during the Civil War to modern times, allowing visitors to understand why the award was created and how it has changed over time. 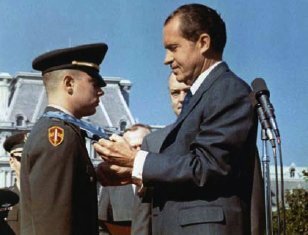 The timeline also features the stories of ten individuals that were awarded the Medal of Honor, including the first, the youngest, and the only woman. The second section of the exhibit focuses on the stories of the eight men from New Jersey that were awarded the Medal of Honor for their actions in Vietnam. Six of these eight men were killed in action and their names are inscribed on our memorial. We share the stories of these eight men and we are honored to have five of their medals on display as the main focus of the exhibit. These medals and the stories of the various Medal of Honor recipients are powerful teaching tools for our visitors. They will leave with a better understanding of United States military history and a deeper respect for those that serve in the United States Armed Forces.